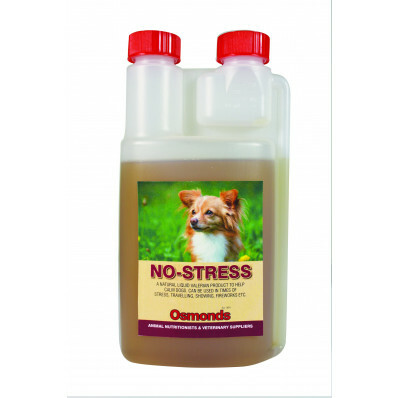 A natural Liquid Valerian product to help calm dogs. Can be used in times of stress, travelling, showing, fireworks, etc. Can be fed safely to most animals to cope with stressful challenges. Feed the evening before the challenging event and also one hour before. DO NOT feed to animals under 12 weeks of age. Repeat as necessary.